Friendly staff took care of all of our large group needs. Everyone in our party of 14 had a wonderful meal. I would absolutely recommend stopping in for dinner! Food was excellent, service was okay, ambience was fun but really loud. Menu was the shining star of the evening and I highly recommend eating there. The food was excellent, my only compliant was how loud it was. Fantastic experience. The chef has a fusion approach with some creative dishes. BTW, the desserts are made in house. Great food, drinks, and ambiance. The service was a little slow but we were in no hurry. All food, even desserts, are gluten free! Good food, but the show was better. Sumptuous grilled octopus. Outdoor seating for people watching. 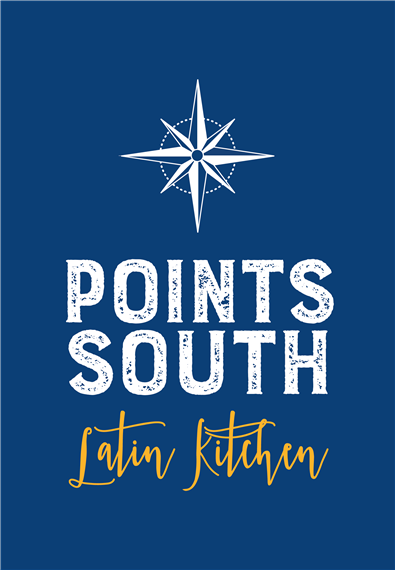 Points South Latin Kitchen always impresses with their food, ambiance and outstanding service. Right in the heart of Fells Point they stand out from other concepts in the Latin fusion space. Drag queen bingo is so much fun! I took a friend to Points South for a birthday lunch. We shared a couple of dishes which were both delicious. The service was very good and the menu is quite varied. The prices are reasonable and the ambience is quite pleasant. We had the BEST time today for brunch at Points South Latin Kitchen. The food was good, the staff was awesome, and the show was FABULOUS!! Thank you!!!! The food was melt in your mouth delicious. I asked for no added salt on my tuna and the salt level was perfect. Our server was delightful, and the restaurant was reasonably quiet. Great menu and service and it is 100% GlutenFree. Exceeded our expectations and we will be back. Always a great place to have dinner and grab a drink! Amazing food, great service, fantastic staff. Wonderful food and service. Really fun drag show! Service was spot on and food was excellent!Started with a roasted pumpkin dip with plantains and pickled veggies. I had the Ahi Tuna which was excellent along with a whiskey ginger pear cocktail! Really good choice of flavors..
My fiancé and I attended Points South Latin Kitchen on Valentine’s Day. The restaurant was very busy but our waitress still made every effort to make sure we were taken care of and we received our order efficiently. Everything was excellent! The food, the service, decor and valet. The octopus and the chocolate volcano cake were my favorites. Great place for a date, taking out/of-towners, special occasion or a private party. It is pricey, but so delicious and worth it. Food was delicious. Peruvian/Central American cuisine, full of great flavor, color and texture. Had the Monday happy hour program, so several apps were 50% off, drinks too. Loved it. Food was fantastic and they ignored my service dog. And It's entirely gluten free, which is great for someone with celiacs. Great food and service in the heart of Fells Point! Terrific ambiance for a romantic dinner. Best drag brunch in town, too! A whole gluten free menu is a definite bonus. The drinks were delicious. The Brussel sprouts were amazing. The restaurant is beautiful. I had a wonderful time, the show was great, the performance was awesome I recommend this show to anyone who wants to have a good time. One of my favorites, always a great time! Everything is gluten free, delight for those with celiac! Very happy. It was restaurant week, so we chose the fix menu (though you choose each course within a list of several). The place was unusually busy, yet staff and manager were... managing pretty well. Food was delicious and servings were generous enough to leave you more than satisfied. Delicious food and drinks. Our service was wonderful and the server and kitchen we're very diligent regarding a food allergy. Highly recommended. The food was very good and the service was good, but the kitchen was very slow. Eat there when you have plenty of time! A wonderful restaurant with truly exceptional food options. Best birthday ever! The entire staff made my husband’s birthday super special. Everything was top botched from the food to the service! You cannot go wrong here! Delicious food and drinks! Very friendly staff! You would never know the entire restaurant is gluten free! This place is a must go!!! We thoroughly enjoy this restaurant and don't understand why it isn't more popular. The tapas are great, all food is well made and the servers are terrific.